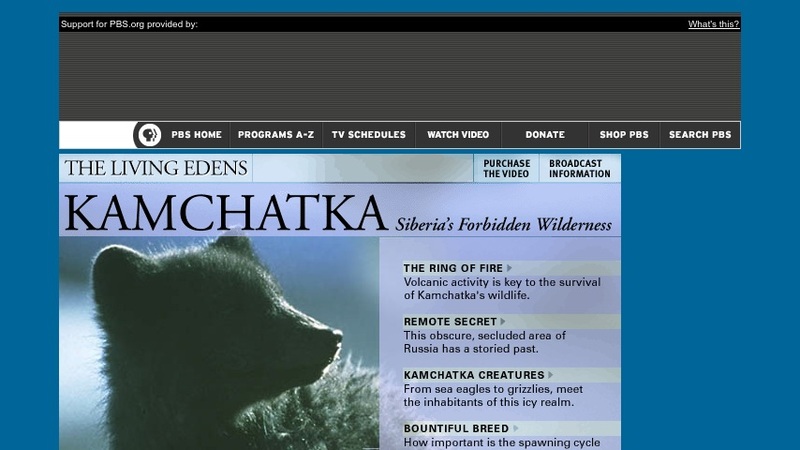 This "Living Edens" PBS site features the historical, biological, and geological wonders of the Kamchatka Peninsula. Many aspects of Kamchatka are explored within the topic headings: The ring of fire, Remote secret, Kamchatka creatures, Bountiful breed, and Bering Island. The site also provides links to additional web resources, a teacher resource page including lesson plans on Kamchatka's Valley of Geysers and salmon populations, other "Living Edens" programs, the PBS home page, and a link to purchase this program video.